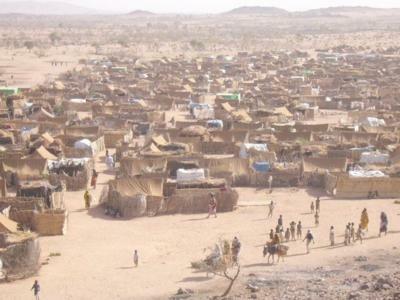 A camp for displaced people. A fire killed at least eight people and left 15,000 others without shelter after raging through a north-east Nigerian camp for people displaced by a war against Islamist insurgents, aid group Norwegian Refugee Council said. North-east Nigeria is ground zero for one of the world’s worst humanitarian crises, sparked by a now decade-long conflict with Boko Haram and its splinter group Islamic State West Africa Province. About two million people have been displaced by the war, often living in squalid camps with little food, shelter or medicine. “The source of the fire was a spark from a cooking stove, used by a child preparing food,” Norwegian Refugee Council said on Twitter, describing the disaster in Gajiram in Borno, the state worst hit by the conflict. Some 6,000 children and more than 4,000 pregnant and nursing women were affected, it added. In recent weeks, Nigerian and Chadian forces launched an offensive against Islamic State’s Lake Chad stronghold after being on the back foot for much of 2018 and early 2019. The Nigerian military said it killed dozens of insurgent fighters. Reuters has been unable to verify the figures. Aid groups expect the humanitarian crisis to last years.